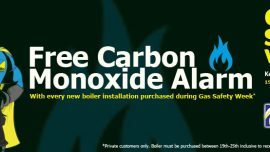 Associated Response is a company of Gas Safe Registered engineers. Our company Gas Safe number is 501758. 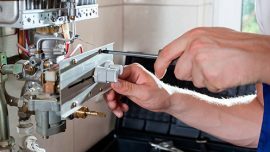 Each of our engineers is Gas Safe registered. You should always use a Gas Safe registered engineer – watch this official video to find out more about our regulatory body. Our primary concern is the health and safety of you and your household, work colleagues and pets. The principle danger we face is carbon monoxide (CO) (follow this link for an official video from Gas Safe or this award winning short thriller)- a highly poisonous substance produced by the incomplete burning of gas and Liquid Petroleum Gas (LPG). This happens when a gas appliance has been incorrectly fitted, badly repaired or poorly maintained. It can also occur if flues, chimneys or vents are blocked. Oil and solid fuels such as coal, wood, petrol and oil can also produce carbon monoxide. 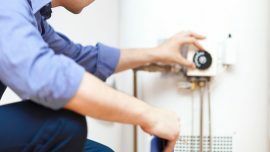 Your property may show signs of carbon monoxide. Any one of the following could be a sign that there is carbon monoxide in your home. The check will identify any defects which require remedial work. You should have a gas safety check every year – and if you are a landlord it’s the law.